Free Tickets for the DOGBOX Foam Party!!!!! 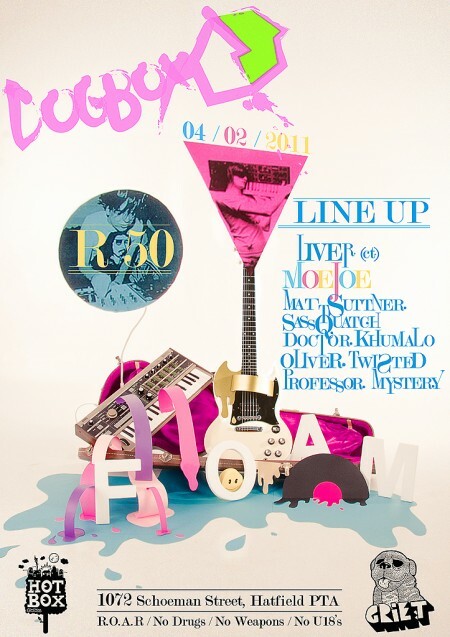 So finally the time has come for the annual DOGBOX Foam Party!!!!! Clear your plans for the 5th of Febuary and set aside 50 Rond. To those who cannot spare a fiddy, don’t dispair, we have one set of Double Tickets to give away. All you need to do is send us a mail to freeshit@electrotrash.co.za and name one of the acts by 23:59 CAT on 02 Feb 11 to stand a chance to win!